The National Working Committee (NWC) of the Peoples Democratic Party (PDP) has adopted report of the committee chaired by Ike Ekweremadu, which recommended that the north should produce the next president. The National Executive Committee (NEC) of the party has endorsed the report as well. 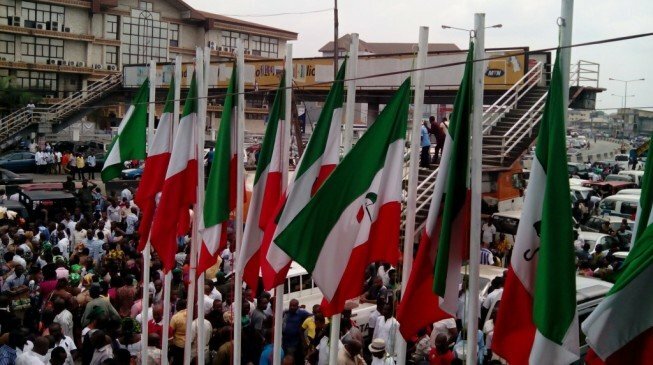 The PDP had mandated its post-election review committee to come up with ideas on how the party could reinvent itself after its dismal performance in the last general election. Last week, the committee submitted its report, making four cardinal recommendations on the restructuring of the party. The report emphasised the sanctity of the zoning principle of the party, introduction of biometric membership registration, introduction of direct primaries and reconciliation. Speaking at 67th NEC meeting of the PDP, the first since the general election, Uche Secondus, national chairman of the opposition party, said: “We have come to a critical juncture in the life of our dear party and the NWC under my leadership is determined to drive the process of re-invention that would ultimately return the party’s lost glory. “Against this background, we have adopted the recommendations of the Ike Ekweremadu committee as a veritable road map for this process of rejuvenation and we call on all to give it their support. “Primarily, the NWC has already kick-started the implementation of the PDP biometric membership registration, which the NEC approved in 2010. “The Ekweremadu report has reiterated the importance of this policy in opening up the party and returning it fully to the grassroots among many other advantages it carries. “The zoning principle enshrined in our constitution is another fundamental element to be pursued in this reform roadmap. In accordance with the recommendation of the committee, we have made a pronouncement that the party’s presidential candidate would be zoned to northern Nigeria for the 2019 general election. “The NWC believes that a thorough implementation of the roadmap is the panacea to the challenges confronting the party. Now that the report is before NEC, the process of consultation has started. “The PDP brand is still dear to the hearts of majority of Nigerians because it still remains the only national party that articulates the interests of Nigerians. All we need is focus at this time and the co-operation of all to reposition it for greater heights. “When a person chases several rats in different directions, the most likely outcome is that none of those rats will be caught. In life, we are often barraged with so many competing issues at the same time most of which legitimately deserve our attention.